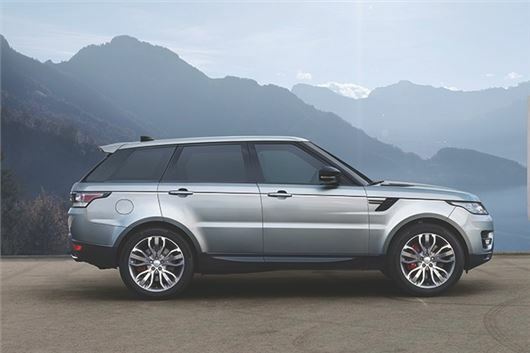 Land Rover has announced that from about Christmas time the Range Rover Sport will be available with a 2.0-litre diesel engine. That’s right, the boys and girls at Jaguar Land Rover have finally got around to putting the four-cylinder ‘Ingenium’ diesel into a sizeable Range Rover (Evoque accepted), which will go on sale in winter priced from £59,000. That puts it £2400 beneath a base level 3.0-litre SDV6 diesel, and with significantly improved mpg and CO2. Its average consumption rating is 45.6mpg with 164g/km CO2, compared to 40.4mpg and 185g/km for the 3.0-litre. Mercifully this isn’t the 163PS variant of the 2.0-litre diesel that Jaguar sees fit to slot into the XF saloon. Rather, it’s been pimped to 240PS, good for an eight-second 0-62mph time and a 128mph top speed. Law permitting and all that. Hopefully the Land Rover team has discovered a way of quelling the din that the smallest Ingenium creates in the Jaguar. Time will tell. Land Rover has also added a 3.0-litre V6 supercharged petrol to the Sport, good for a 7.1-second 0-62mph time and a less good 26.9mpg consumption rating (243g/km). Drivers can now set a navigation route using a smartphone app, then ping it to the car while it’s parked, while pinch-and-zoom functionality is improved. New safety features include traffic sign recognition, reverse traffic detection, an active speed limiter that links to the cruise control to set the car’s speed based on the limit, a driver fatigue detection system and lane keep assist. Automomous emergency braking joins the roster too. Low Traction Launch is new as well, assisting the driver in pulling away smoothly on ice or gravel. And finally, a more advanced towing assist system helps with trailer manoeuvres by autonomously steering the car. £59k for the 2 litre ingenium diesel. Underpowered and overpriced. The TDV6 you could originally spec for the new shape RR sport was a better bet and £10k less. No thanks.